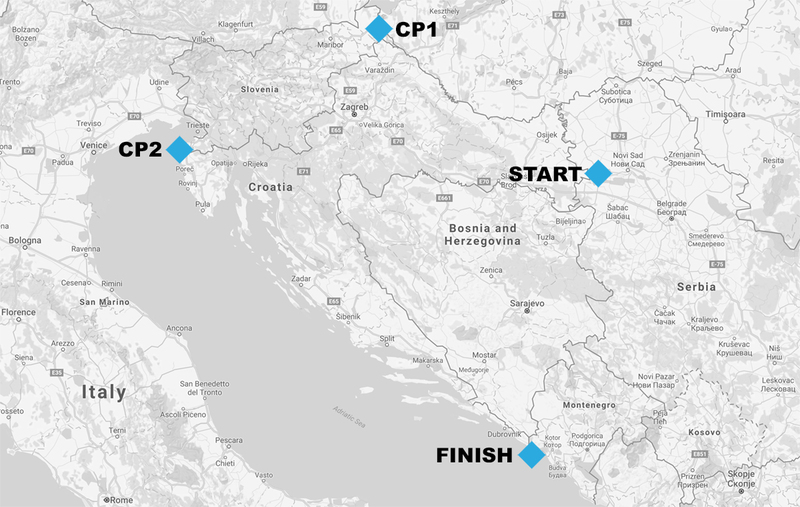 The 4 Corners of Croatia is a new event in the Randonneurs Croatie brevet calendar, and so far by far the longest one. It is planned to be organized every year in the 2nd half of June, just before the peak tourist season begins. It will be a reference super brevet in Croatia. The brevet covers the whole country connecting the easternmost, northernmost, westernmost and southernmost points of Croatia. Leads through different terrain and climate. From Central European windy and hot flat roads, coastal areas of the Adriatic sea and hilly, during the night possibly chilly, mainland. The course runs through the nicest parts of the country, demonstrates almost all the must-ride routes in the area. A unique experience to place it in every randonneur’s bucket list. The organizer will offer personal luggage transfer from start to finish. Bike box transfer will be offered at additional costs. Detailed roadbook will be published until the end of May, 2018. 4CC is a demanding ride! It will test your body and mind. We would like every starter to reach the finish line in Molunat. Therefore, a qualification standard is adopted: during the registration process every participant has to present the evidence (the homologation number) of at least BRM 600 km successfully finished in the past 12 months or a similar randonneé (like PBP, LEL, MGM, 1001 Miglia Italia or alike) successfully finished in the last two years. Please send you registration data by e-mail to (kornel.boros@gmail.com) kornel.boros (at) gmail (dot) com. The registration must be confirmed by registration fee payment until the 15th May, 2018. Upon registration, payment details will be communicated by e-mail. Because of the demanding nature of organization of the LRM 1400 km Four Corners of Croatia, in case of withdrawal after May 15th, 2018 no refund is offered.